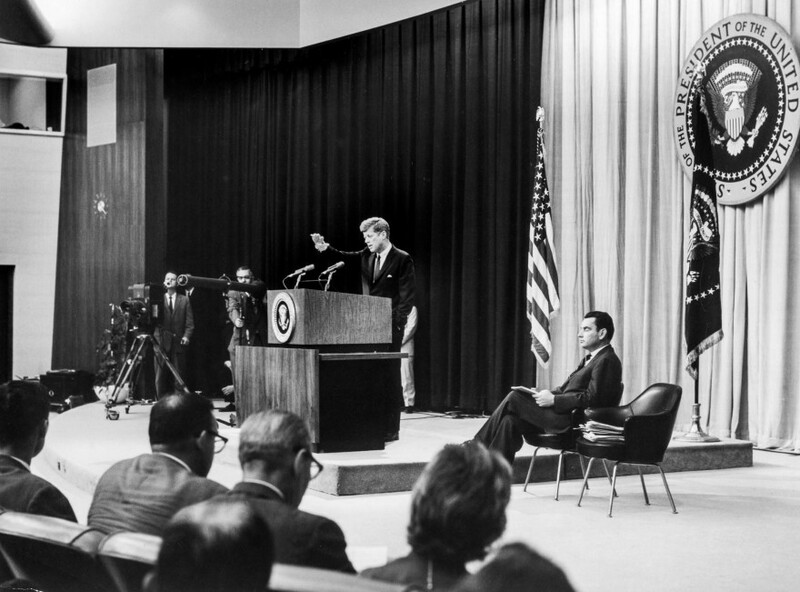 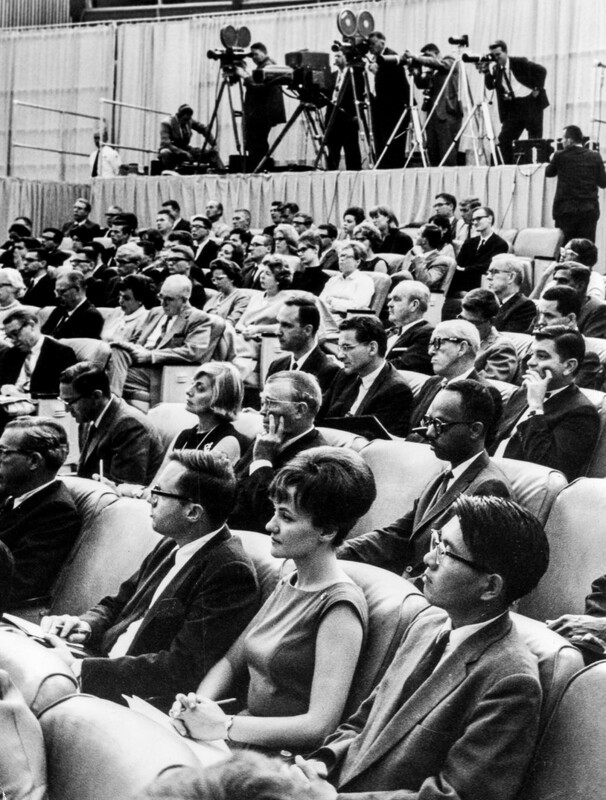 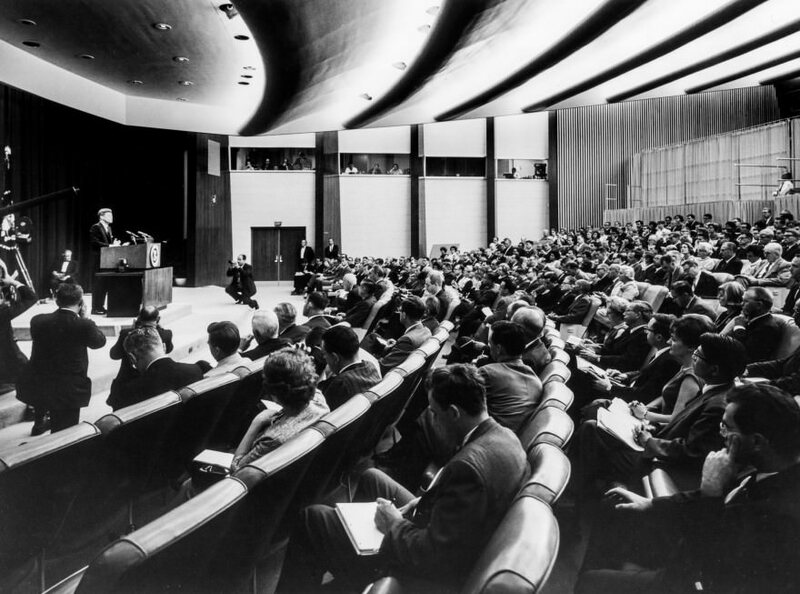 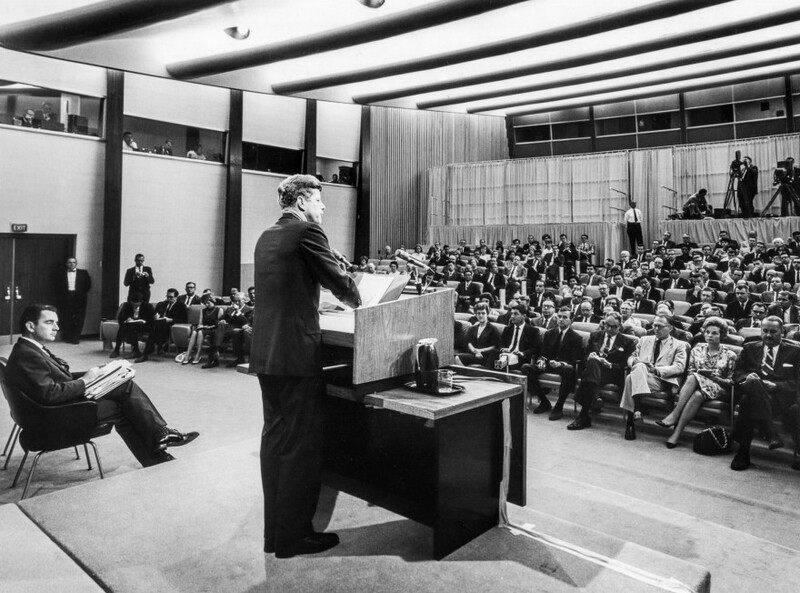 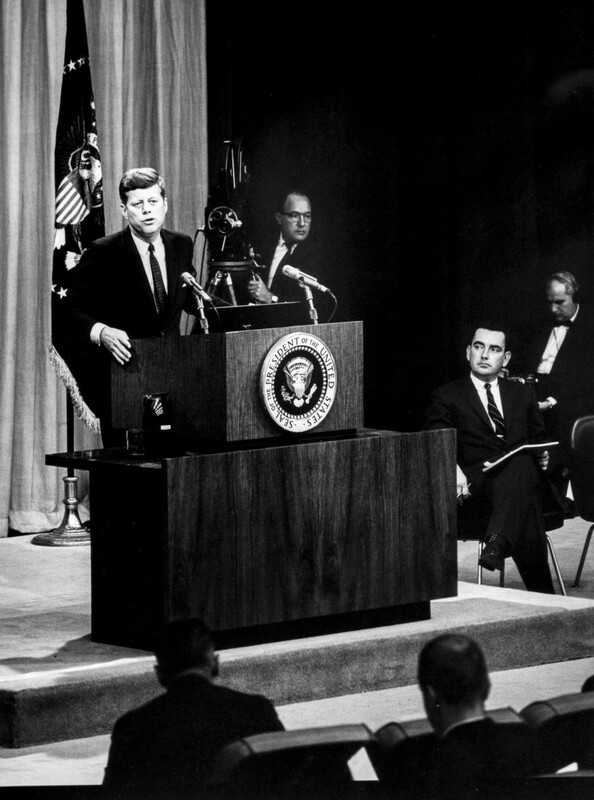 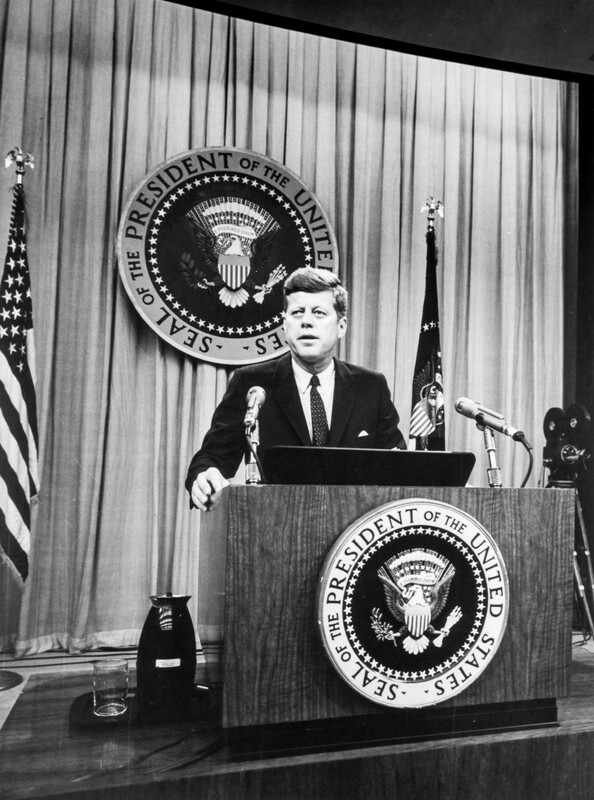 President John F. Kennedy’s 60th news conference on 20 August 1963. 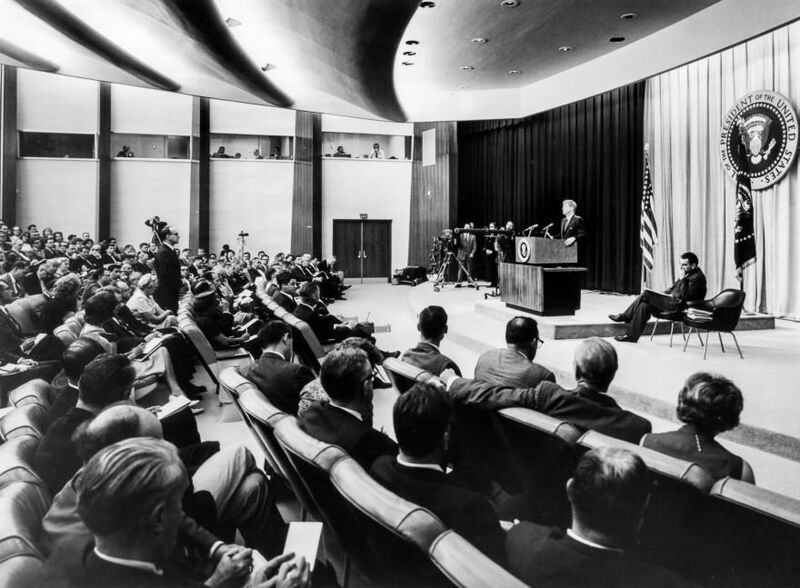 It was held in the State Department Auditorium at 4PM. 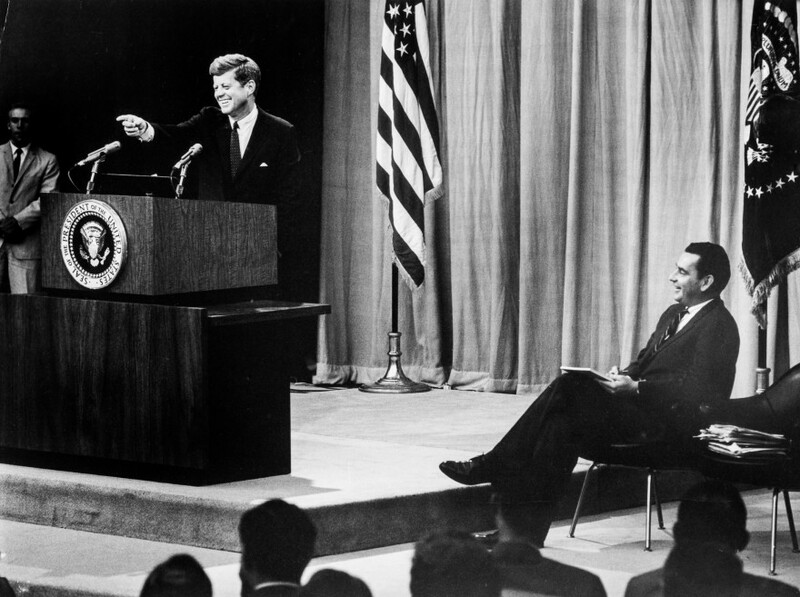 Photo by Abbie Rowe / National Archives.